Dorchester and Braintree, MA (December 12, 2018) – Full-service real estate and property management firm Peabody Properties is pleased to announce the promotion of Kevin Jenkins of Dorchester, Massachusetts, to Facilities Manager. As a member of the leadership team, Jenkins now reports directly to Scott Ployer, Vice President of Facilities and Capital Planning at Peabody Properties, Inc. He is responsible for effective overall physical facilities functioning of assigned apartment communities. In his new role he provides training and mentoring to on-site maintenance technicians and service managers, serves in an advisory and support capacity to vendors, and works with senior service managers to review and maintain comprehensive understanding of each property’s operating and capital budgets. 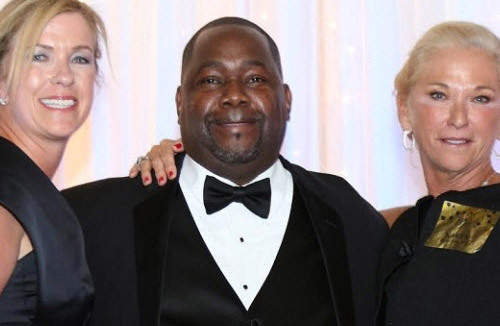 Jenkins joined Peabody Properties, Inc. more than 25 years ago, working in numerous capacities; he has assisted with new property takeovers and has had oversight of multi-million dollar capital projects.